Triangulations, and more precisely meshes, are at the heart of many problems relating to a wide variety of scientific disciplines, and in particular numerical simulations of all kinds of physical phenomena. In numerical simulations, the functional spaces of approximation used to search for solutions are defined from meshes, and in this sense these meshes play a fundamental role. This strong link between the meshes and functional spaces leads us to consider advanced simulation methods in which the meshes are adapted to the behaviors of the underlying physical phenomena. 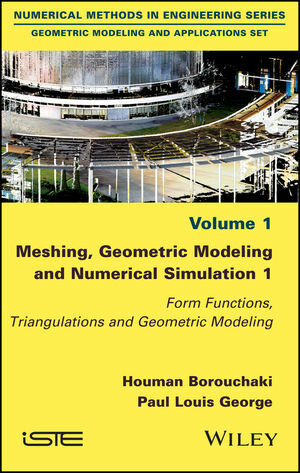 This book presents the basic elements of this meshing vision. Houman Borouchaki, University of Technology of Troyes, France. Paul-Louis George, French Institute for Research in Computer Science and Automation, France. 1. Finite Elements and Shape Functions. 2. Lagrange and Bézier Interpolants. 3. Geometric Elements and Geometric Validity. 9. A Few Basic Algorithms and Formulae.